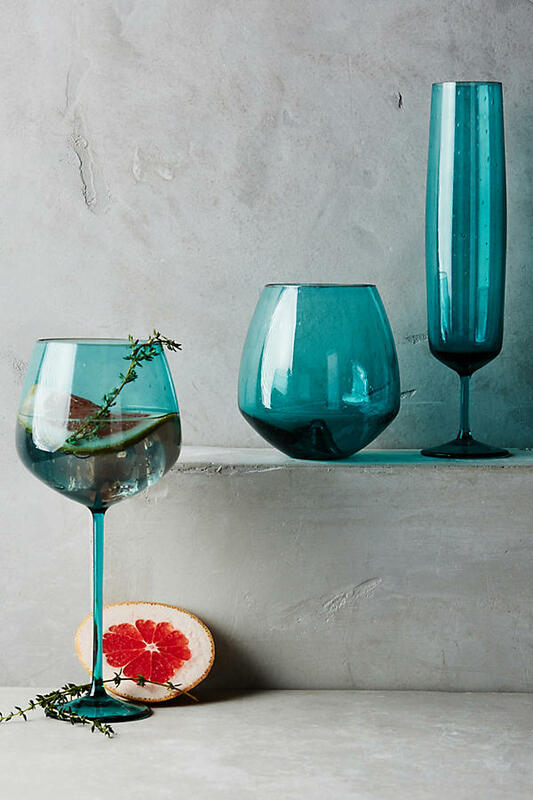 This sleek, rounded glass Sanford Beverage Dispenser set on a glossy ceramic pedestal is perfect for serving lemonade, punch, water and other libations at any get-together. 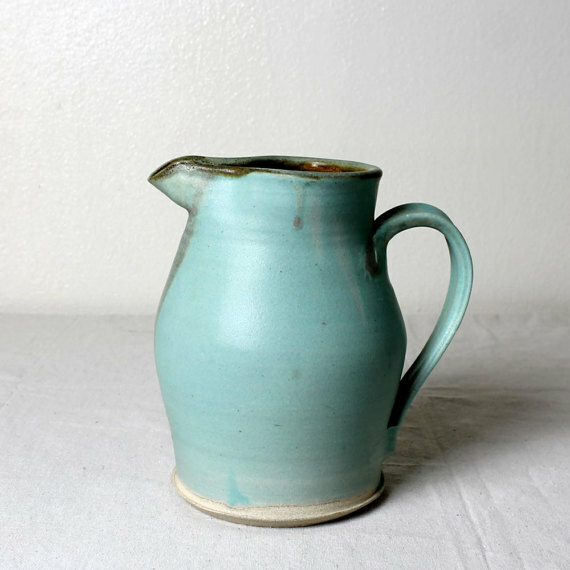 Holds 1.6 gallons. $60. Free shipping. Buy here. 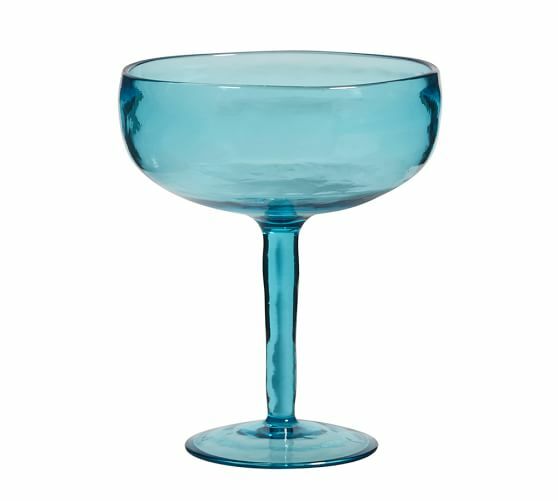 This Tulum Acrylic Margarita Glass has the subtle organic look, texture and lively color of authentic Mexican glass, yet is durable and impact-resistant. Set of 4. $30. Buy here. 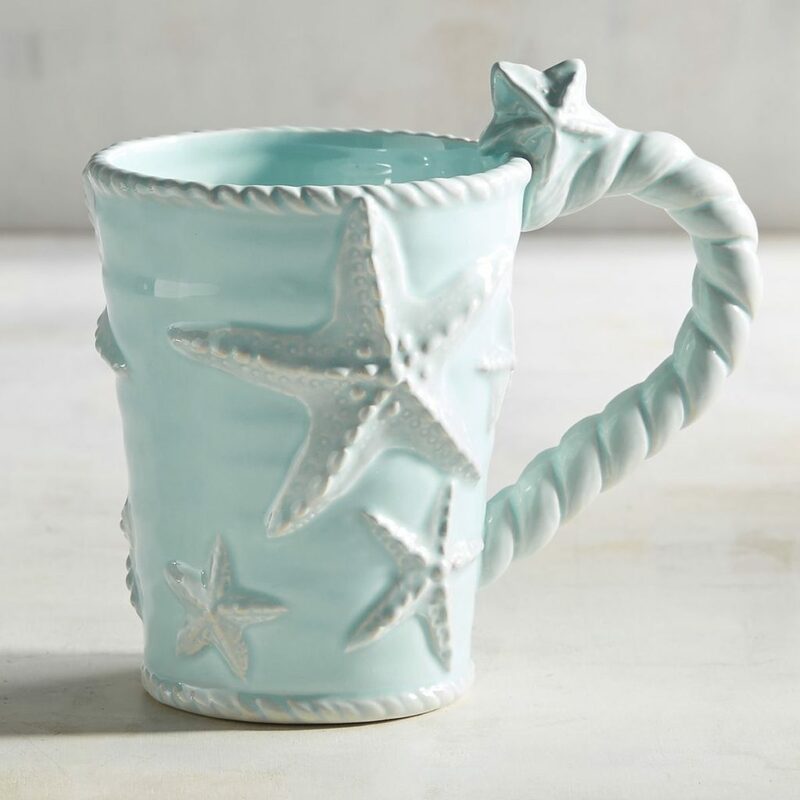 With three-dimensional starfish and rope motifs, this earthenware Starfish Mug is the perfect gift for the beach aficionado in your life. 18 oz. $8.95. Buy here. 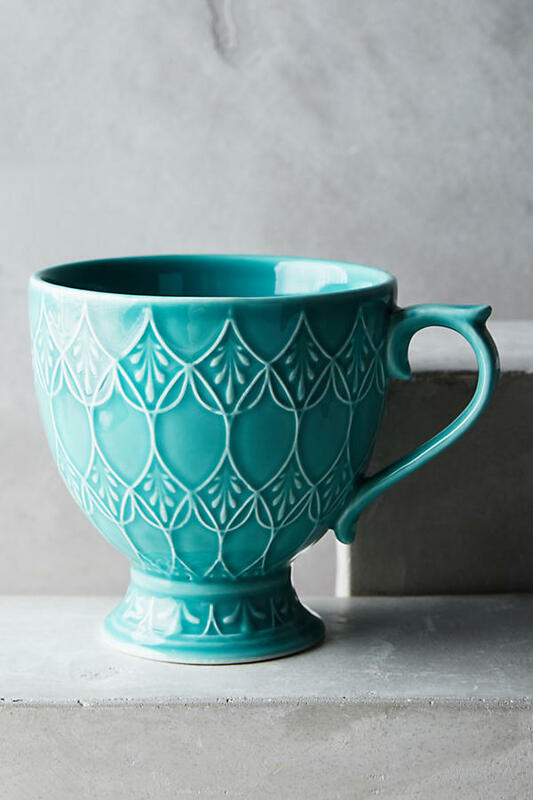 This glazed stoneware Turquoise Tea Room Mug features and intricate design and eye-catching color. Dishwasher and microwave safe. 12 oz. $12. Buy here. 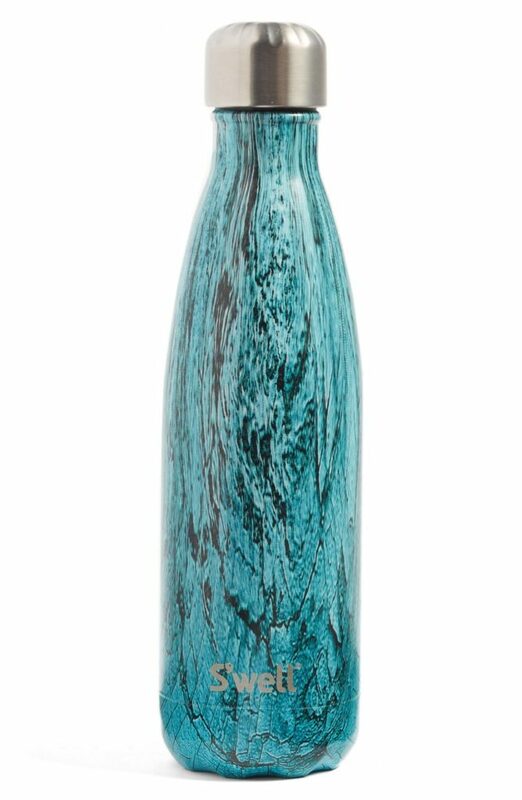 Stay hydrated in high style with this sleek, double-walled S’well Teal Wood Insulated Stainless Steel Water Bottle featuring ThermaS’well fabrication that keeps cold drinks cold for up to 24 hours and hot drinks hot for up to 12. 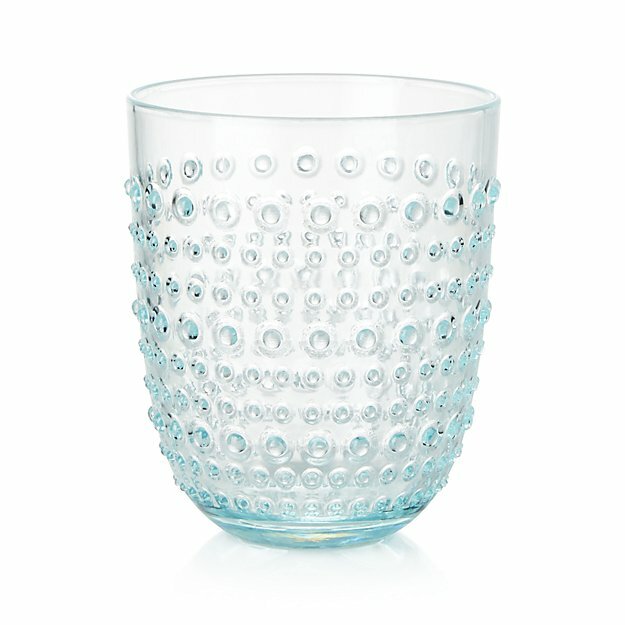 Each bottle features a wide mouth that makes it easy to fill, add ice cubes and clean. $25-$45. Free shipping. Buy here. 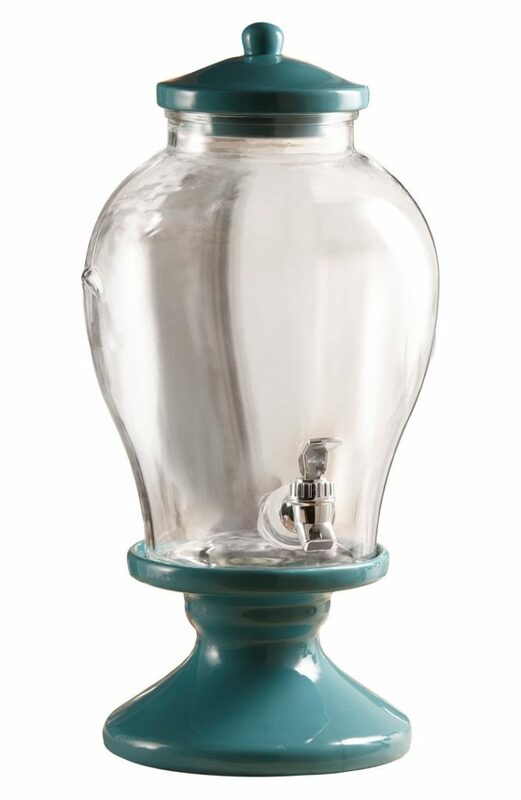 The BonJour Enamel on Steel 1.5 qt. 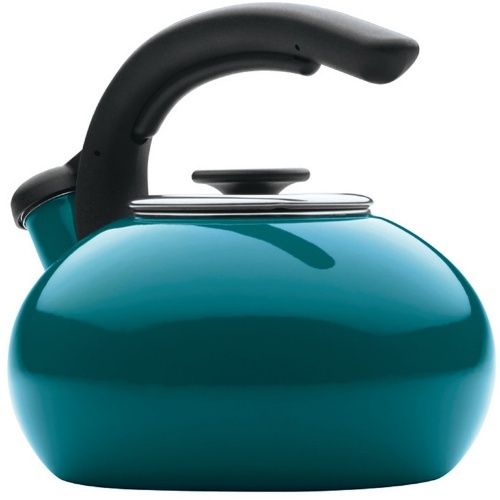 Blue Tour Tea Kettle is designed for use on your stovetop thanks to the durable steel construction. 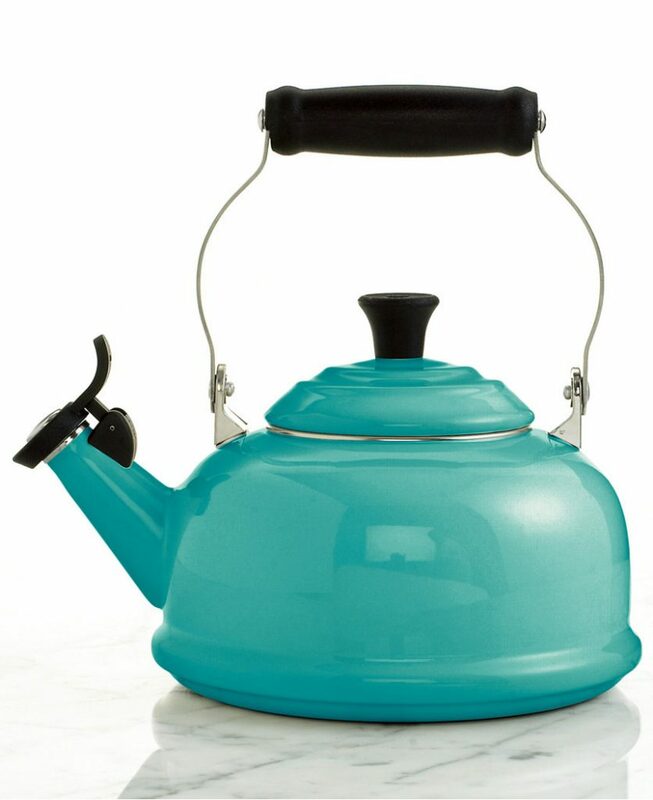 This chic tea kettle is covered in a brilliant blue enamel that adds a pop of bright color to your kitchen. 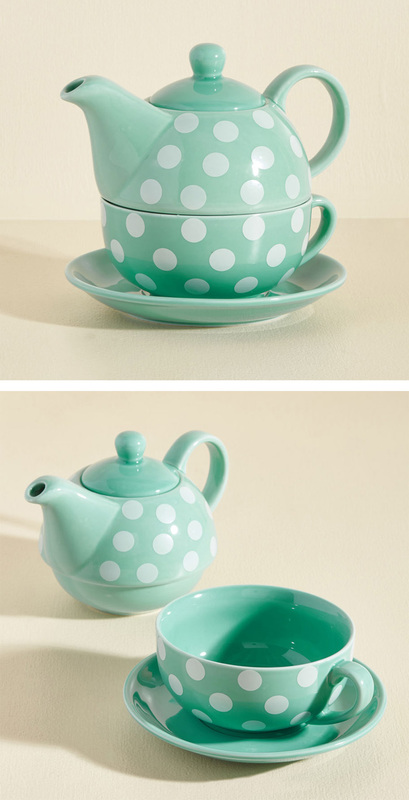 The curved handle boasts a squeeze-pull type lever for easy pouring and the kettle features a whistle alert when your tea is complete and ready for drinking. $40 Sale $29.99. Buy here. 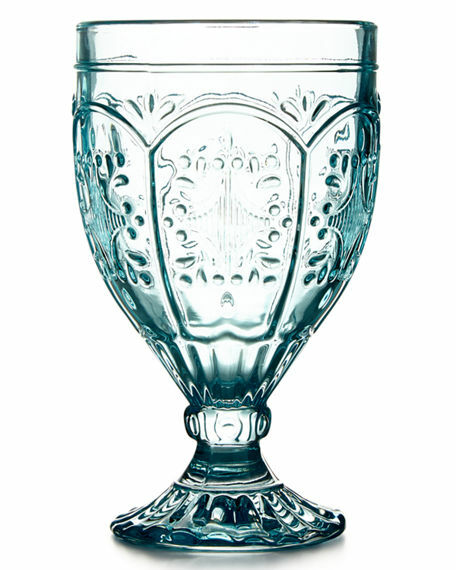 These glass Lauren Ralph Lauren Trestle Goblets feature a goblet design inspired by the unique open framework of classic bridge architecture. Dishwasher safe. Set of 4. 3.5″Dia. 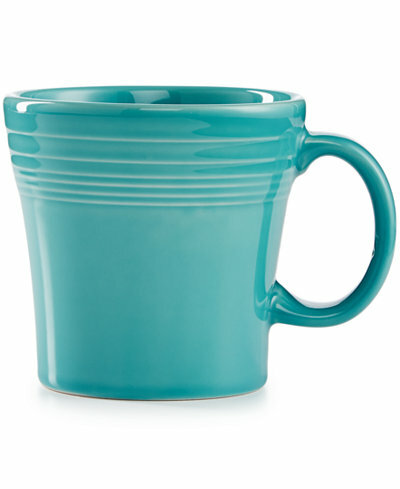 x 6″T; holds 12 ounces. $30 Sale $22.50. Buy here. 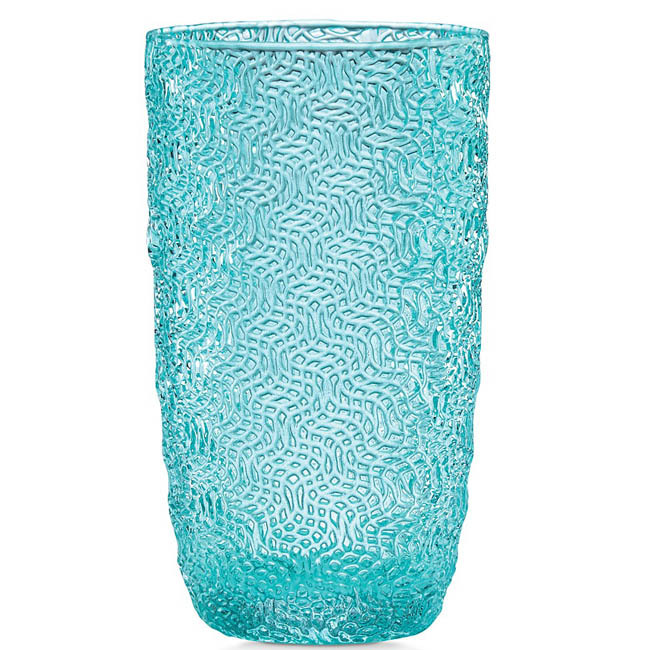 Rich color and texture meet in this striking Turquoise Lenox Creekside Highball, creating an eye-catching addition to your tabletop. Made in Italy. $15. Buy here. 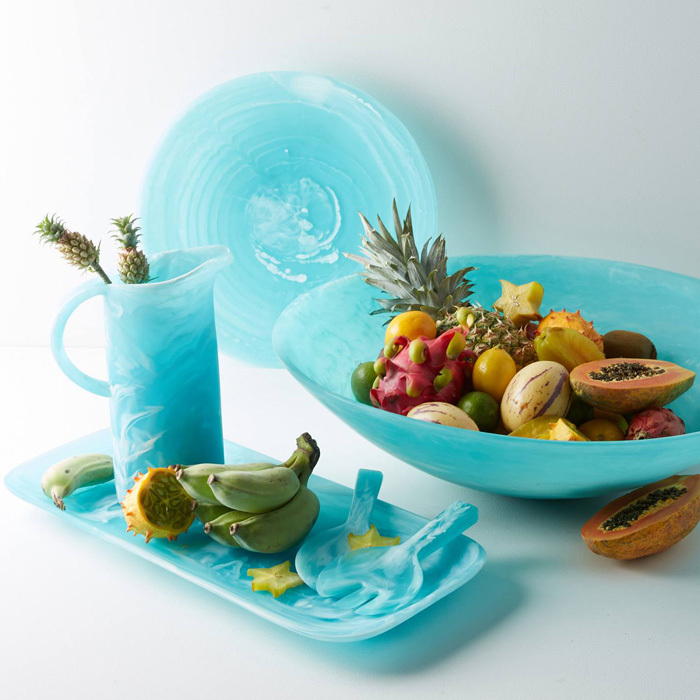 Inspired by the deep blue waters of Guatemala’s Lake Atitlan and the reflection of the blue sky. 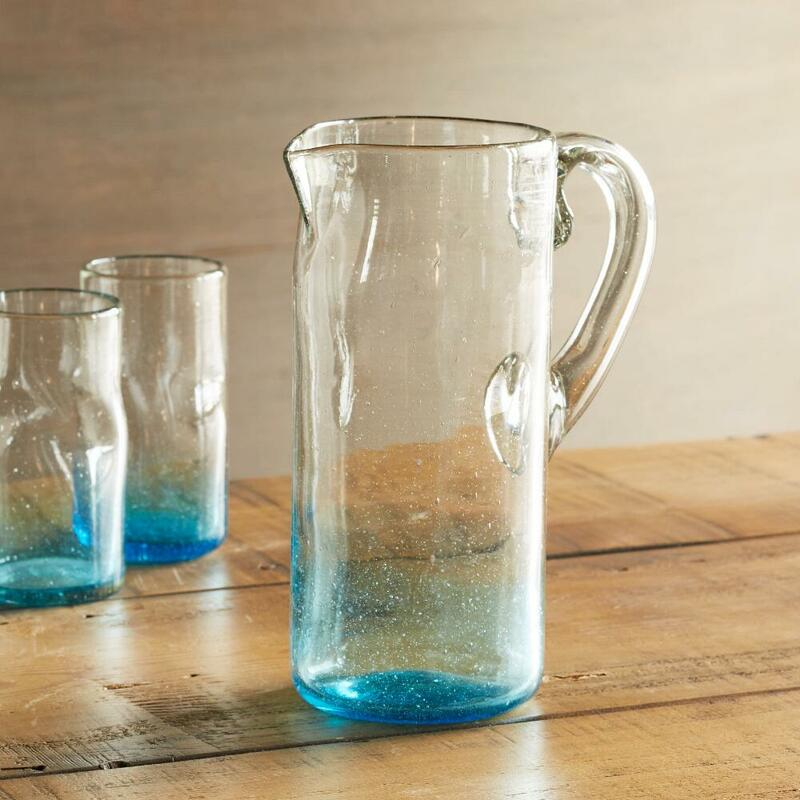 The Atitlan Pitcher is hand blown by artisans with organic, bubbled, recycled glass that’s simply mesmerizing. $48. Buy here. 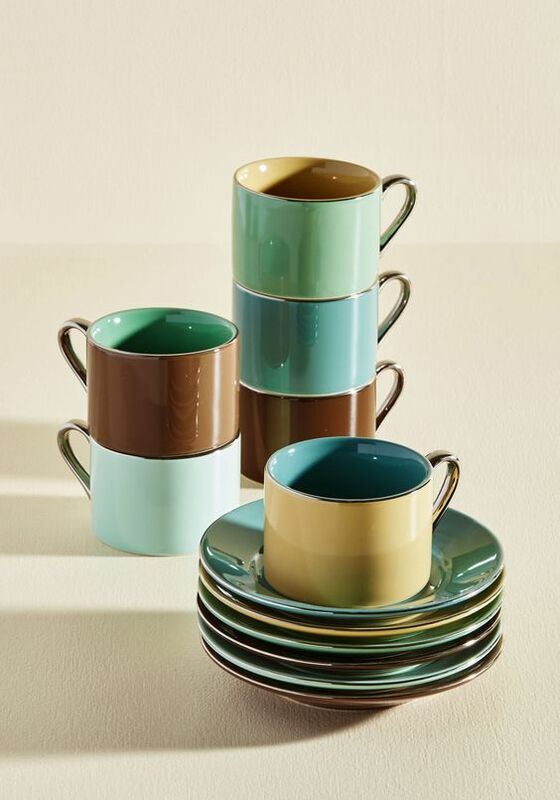 Garnished with silver trim and matching handles, this boxedÂ Coastline Cup and Saucer Set features six round mugs in sand, ocean, seafoam, and pale driftwood hues. $59.99. Buy here.